Throughout her career, Ntozake Shange wrote as many as 50 plays, novels, children's books and poetry and essay collections. 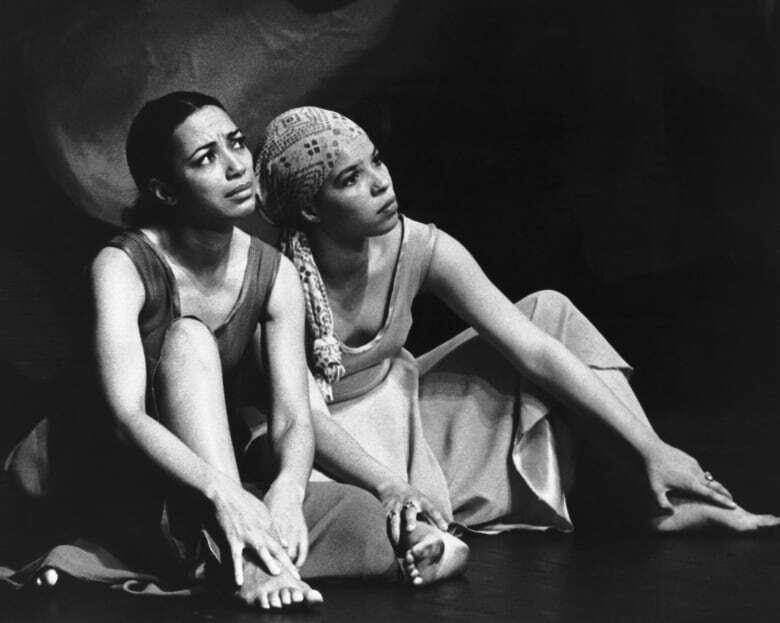 Shange's close friend and sometimes-collaborator Thulani Davis reflects on her legacy. 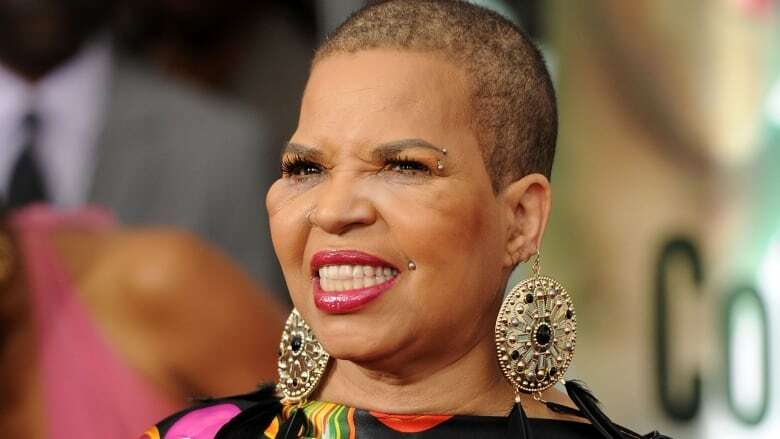 Poet, novelist, and trailblazing playwright Ntozake Shange died this weekend in Bowie, Md., at the age of 70. She was only the second African-American woman ever to have a play on Broadway. 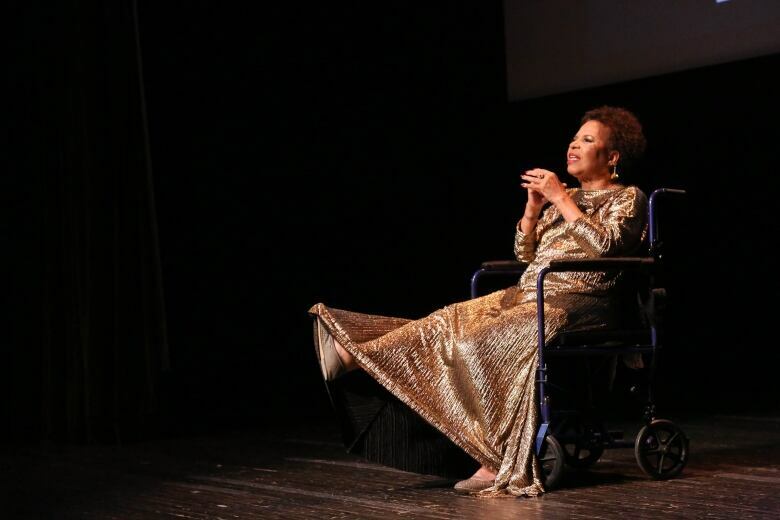 Shange is best known for her famous play For Colored Girls Who Have Considered Suicide / When the Rainbow is Enuf. Thulani Davis is a playwright, novelist and professor of Afro-American Studies at the University of Wisconsin-Madison, and a close friend and collaborator to Shange. She spoke with As it Happens host Carol Off from Madison. Here is some of their conversation. Professor Davis, I'm very sorry about the loss of your friend. How did you come to meet Ntozake Shange? We met at some black students' mixer, freshman year college. We were both gonna go to law school and be Thurgood Marshall, so we spent a lot of time taking the same classes and just being friends. But I started writing poetry and got published in one of the college publications. So she showed up at my dorm room one day with five poems. And I was pretty astounded — they were great. So after that, we published a magazine our senior year, called Phat Mama — way ahead of our times, I think (laughs) — of work done by ourselves; [poet] Sonia Sanchez, who was kind enough to mentor us a bit and give us some poems; and writing by our classmates. It's a long way to go from having your own magazine to having a play produced on Broadway, For Colored Girls Who Have Considered Suicide / When the Rainbow Is Enuf, nominated for a Tony Award. Can you remember the reception the play received in 1976 when it opened? When the first production was done at the New Federal Theater, it was on weekends. And after the first three or four weekends, it was about to close. And women appeared — having heard about it primarily by word of mouth. And literally there would be 40, 50 women banging on the door, just as the doors closed before the show started. And it was extraordinary. I've never seen anything like it since. It's one of the reasons she ended up at the New York Shakespeare Festival with the show. And its appearance there had a similar kind of very avid response. But once it got to Broadway — began to tour — there was also this backlash from men. Men would come to Q&A sessions on tour and accuse her of defaming black men. So there was this resentment that women were airing the dirty laundry inside black communities in this broader public platform. There was this feeling that women should put race first, and women second. For those who don't know the play, can you describe it? It's a series of a little more than a dozen poems. Each woman is identified by the colour she's wearing — Woman in Orange, Woman in Red ... and they're kind of having a conversation about personal experiences. One of the most repeated lines I've heard in the past two days was, "Can somebody — anybody — sing a black girl's song?" This is something that has stuck with people for 40 years — as though it filled a need. And then there were moments of laughter, when she would talk about a lover who had caused a lot of misery and she would say, "I've got sorries fallin' out of my closet," or "Somebody almost ran off with all my stuff." Not her stuff stuff, but the stuff that keeps her together: her confidence, her self-possession. So it was very intimate, and yet it was also shared trauma — traumas perhaps that people in the audience had not shared with other people. And suddenly, they were in an audience sharing something that they could feel in the room, that they were not experiencing alone. And she inspired a generation of black female playwrights, didn't she? Oh, certainly. We had grown up without being taught the work of black playwrights, because of the schools that we went to. We began to study black literature in college — not in class — but because black students formed study groups. We were self-taught in African-American literature. I think she in turn inspired several generations of women, some who performed in local versions of For Colored Girls, when they were either in college or school somewhere. And those playwrights, having been in the play and embodying the characters — how could that not leave a strong impression, suddenly doing the work of somebody describing their experience? As your friend, what will you miss about Ntozake Shange the most? After 50 years, there's nothing we couldn't share. And that's not something that is replaced. And I miss being inspired by her. She was an incredibly inventive person, and she demanded your attention. And she continued to show this incredible courage. She did two performances last week. She had bipolar syndrome. She was in a wheelchair. She had a neuropathy that hit different parts of her body at different times. And she was very determined to remain engaged. Going forward, I try to keep that in mind — an inspiration I would not have taken from her 40 years ago, which she gave to me in recent years. Written by Donya Ziaee and Kevin Ball. Interview produced by Donya Ziaee. Q&A edited for length and clarity.